When Patrick Debois recognized the resistance between developer and operations team as an Agile practitioner he saw this as a chance of using the methodologies of Agile to manage infrastructure. Initially, DevOps was described as Agile Infrastructure but later a new phrase was coined by him as. DevOps matured to have the feature of both development and operations. The ideas behind DevOps came from some of the biggest players in the market like Amazon, Google, Flickr, Youtube, and Facebook. These websites kept gaining more and more traction over the time and it was becoming painfully tough to manage them. The operational silos separating the development, testing and infrastructure teams made it difficult to handle the complexities rather than making it easier. The concept of DevOps is based on the hard-earned experiences of seeing websites grow from one server to, to a dozen, to thousands. Issues that came along with larger and elaborate websites were poor performances which kept increasing over time. As organizations mature in there DevOps processes the partition between the operations and development teams kept blurring. Within the Cloud Computing scenario, this distinction further became vague. It was important to understand how to develop on the cloud without comprehending operations and vice versa. What Are the Values of DevOps? DevOps concentrates vigorously on setting up a community-oriented culture and enhancing proficiency through tools within DevOps methodology. While a few associations and individuals tend to value one more than the other, actually it takes a blend of both culture and tools to be effective. This is why corporations have to think about DevOps. 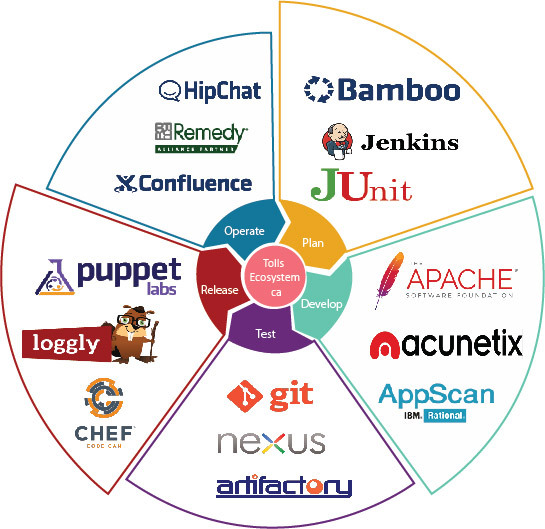 DevOps tools span the lifecycle of Plan, Analyse, Develop, Build, Deploy, Test, Release While some of the components can utilize similar tools, for example, Jira can be used during both planning and development stage, or ServiceNow can be used for Planning and deployment phase, other tools like Jenkins, Chef, and Ranorex are used across other phases. 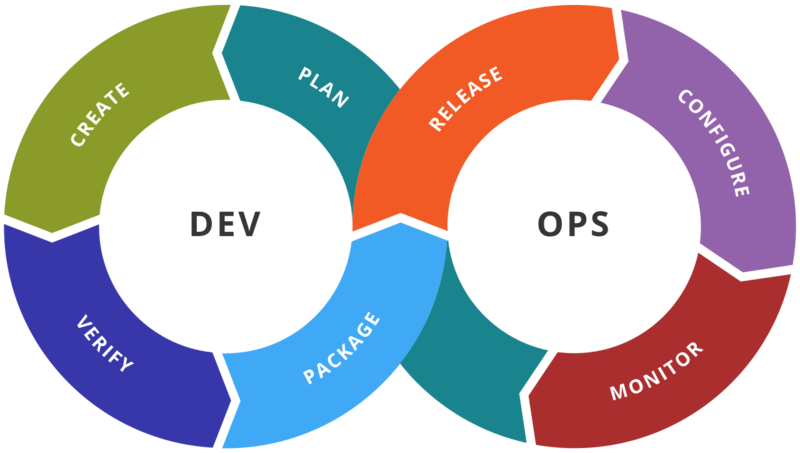 Distribute DevOps processes- Outsourcing engagement often has various aspects of software development, deployment, and testing integrated within them. Software development often becomes a challenge as quite frequently complex activities are undertaken within it. On the other hand, the service level parameters are easier to adhere to at an operational level and require different skillsets in comparison to software design and development. Because of these reasons, it’s important to have distributed functions. Technology- Adopt tools at a slow pace, don’t go for the technology with most bells and whistles. The resources that are deployed in an outsourcing engagement where DevOps is being implemented experienced professionals with past DevOps experience should be onboard. Project Phase- Divide the work into small modules. These modules should be evenly spaced.